See also our coverage on TV and radio. 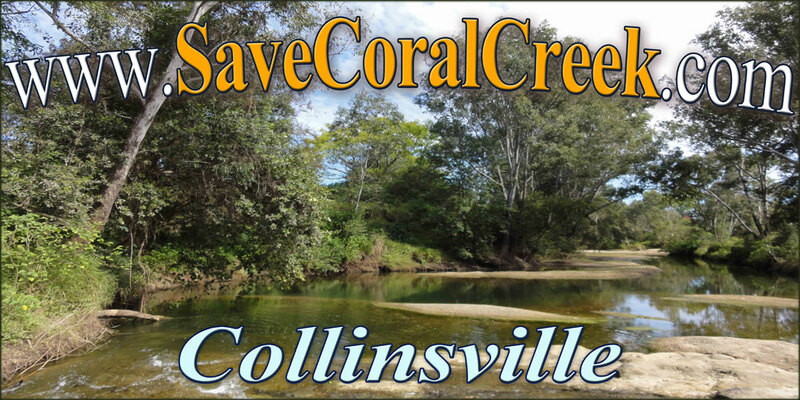 Carol Cosentino, a local wildlife carer deeply committed to saving Coral Creek for future generations, has made a moving video explaining her involvement in the campaign to save Coral Creek. Carol's Story -June 2013 from Carol Cosentino on Vimeo. Pelican Creek Collinsville Qld from Collinsville Connect Telecentre on Vimeo.